This late-released off-dry Riesling underlines the greatness of the 2016 vintage as well as the value of extended aging in cask. After a most challenging start during the growing season, the 2016 vintage has turned out to be a charmer with much early ripe appeal. But the 2016 vintage also delivered racier wines including a few stunner cut along the great canons of the 1997 vintage, one of the finest vintages ever, as our 1997 retrospective has amply shown. Recently, the greatness of the 2016 vintage was underlined again. 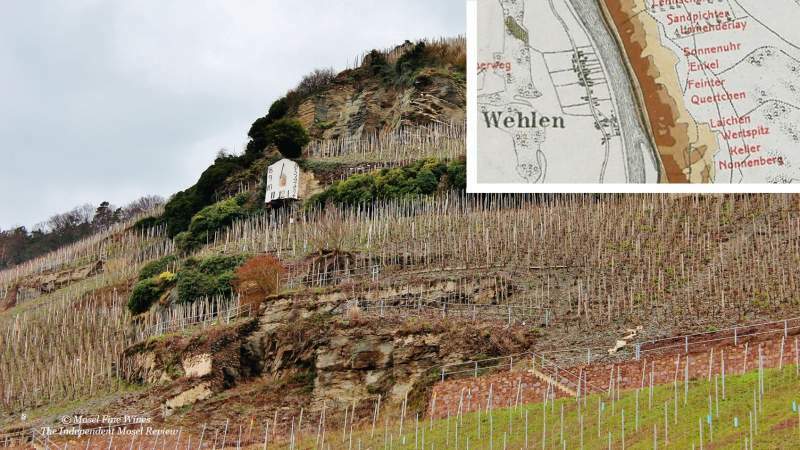 The stunning late-released dry-tasting Wehlener Sonnenuhr Spätlese Reserve by Weingut Wwe Dr. H. Thanisch (Erben Müller-Burggraef) proved a highlight of the Mosel Fine Wines Issue No 43 (Oct 2018). 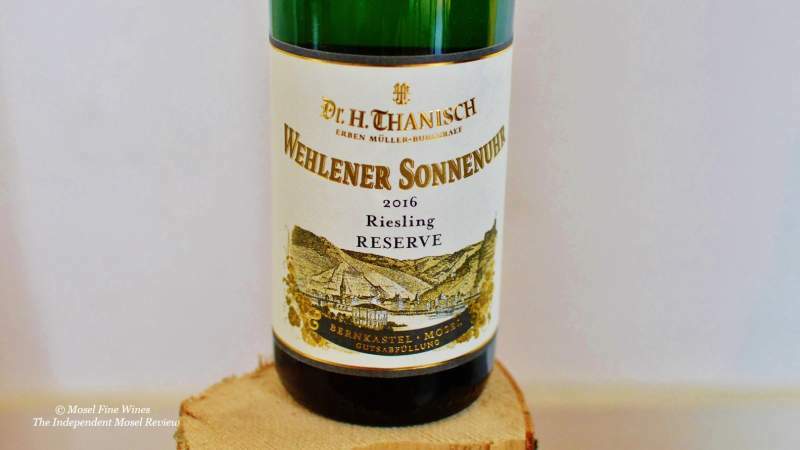 Weingut Wwe Dr. H. Thanisch (Erben Müller-Burggraef) is one of the two Estates which emerged when the historic Wwe Dr. H. Thanisch Estate was split between heirs at the end of the 1980s. It extends today over 15 ha and includes holdings around Bernkastel, including almost a full hectare in the mythical Bernkasteler Doktor. The Estate has been making strides in quality lately. Maximilian Ferger, the winemaker and Estate manager, puts this down to reduced sugar levels in the must and extended aging in oak: "Over the years, I have changed my canopy management and increased the selections during harvest to be able to bring in grapes which are physiologically ripe, but with moderate sugar levels. We moved to a new winery in 2015, where we have two presses. This also allows me to work much more sensitively, with low pressure over a longer period of time. Finally, I love Riesling aged in oak, be it in traditional used Fuder or used barrique, which I have for my red wines. But working with oak means that one needs time. I have now prolonged the aging process on my top dry and off-dry bottlings to well over a year." The 2016 and 2017 collections are easily the finest we have ever tasted from this Estate. The wines have gained in finesse and playfulness over the last few years, without losing the joyful intensity which has been the hallmark of the Estate over the years. A change of ownership took place last year at this venerable Estate. Well in retirement age, the Müller-Burggraef family sold the Estate to the Willkomm family. This family owns the large Peter Mertes winery, but is also one of the largest vineyard owners in the Mosel. We briefly talked to Barbara Rundquist about the sale and its impact last June. She was happy and relieved that this had no operational impact. This was confirmed by Maximilian Ferger: "Except for the name of the owner in the official books, nothing has changed: I enjoy the same full backing." As Maximilian Ferger explained, one of the changes which have been implemented lately is to leave the dry and off-dry Riesling much longer in cask. The Estate thereby follows a general trend also seen elsewhere in the Mosel to leave these Riesling age in cask for a longer period than the traditional 9 months. One of these wines is the 2016er Wehlener Sonnenuhr Spätlese Reserve. As Maximilian explained, "this wine is made from fruit harvested at a remarkably low 85° Oechsle in one of the finest sectors of the Wehlener Sonnenuhr called Keller [note from the authors: a dark red sector on the old Prussian taxation map]. The wine was left to ferment with ambient yeasts on its lees for 20 months in a traditional Fuder." This wine proves simply stunning and is a Mosel classic in the making. The balance between intensity and finesse are simply remarkable. While enjoyable now, this will only truly blossom in a decade or so. 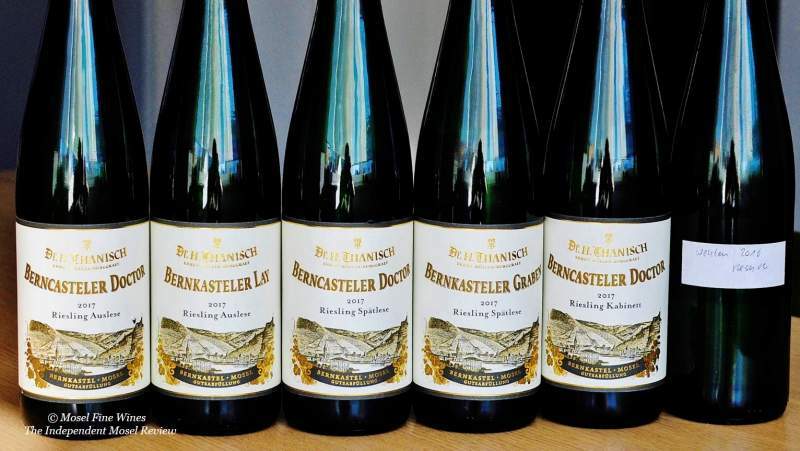 Overall, the Estate has released an impressive set of dry and off-dry Riesling with extended aging in cask recently (we reviewed them in the course of the year). We urge lovers of truly grand dry and off-dry Riesling to put these on their radar screen. The mightily impressive recent releases by Weingut Wwe Dr. H. Thanisch (Müller-Burggraef) were reviewed in the Mosel Fine Wines Issue No 43 (Oct 2018). You are a subscriber and miss this Issue? Simply send us a request by email and we will be happy to send you a copy. You are not yet a subscriber and wish to get this Issue? Subscribe free of charge by registering yourself here below and ask us for a copy by email.